Though no introduction is required about the various benefits of almonds but still, a detailed and relevant description is something that is always beneficial to have. In this article, Explore the various benefits of almonds for skin, hair & health. Before going to the uses of almonds, you must know the history & origin of Almonds, Let’s have a look into this. The information about the exact originating place for almonds is though unknown but it is known to be originated from China and Central Asia. The almond trees or the badam trees used to flourish in the regions with a Mediterranean climate like Italy and Spain. Almonds are known with different names at different places. For example, almonds which are popularly known in the English language is called as ‘Almande’ or ‘Amande’ in the old French culture, ‘Badam’ in Hindi, ‘Badamkayi’ in Telugu, ‘Badam Parippu’ in Malayalam, ‘Badami’ in Kannada and ‘Vadhumai’ in Tamil. Likewise, almond is called ‘Amandula’ in the Vulgar Latin language and ‘Amygdala’ in the Latin language. Almond is that tree’s spices that are native especially to the Mediterranean climates like the Middle East, Syria, Turkey, India, Pakistan, etc. Almonds are edible oval nut-like seed found in the almond tree. The almond nut is widely used as a food with several benefits. You can either use the almonds as raw or roasted along with producing a number of things like almond oil, milk, butter, etc. Yes, almonds are really healthy for the body. The higher nutritional value of almonds justifies the need concerning is almond good for health. Almonds are a rich source of vitamin A, C, calcium, iron, vitamin B6 and D, along with the good fat. You can actually make the most of the almond’s benefits for your health, hair, eyes, skin and for the entire body. There is no denying the importance of almonds. Almond contains a good quantity of healthy fat, protein, magnesium, fibers, and vitamins, which delivers the needed benefits not only to one particular body part but to the entire body. The almonds are the best companions when you are looking for an ingredient that is high in nutritional value. To justify the importance of almonds, they strengthen your hair, improve the overall health, nourishes your skin, helps you in weight loss along with helping in reducing the blood sugar and cholesterol levels. Make the most of the almond fruit and witness the magic of good health happening to you. Are Raw Almonds Good for You? Raw almonds are not that beneficial for the health as sweet almonds are. In some of the countries like the United States, consumption of raw almonds is restricted and only the sweet almonds are sold. This is due to the nutritional aspects of raw almonds. Each nut of the raw almond contains 4-9 mg of cyanide which is extremely dangerous and unsafe for the health. Thus, you must avoid eating raw almonds and must only consume sweet almonds. The almond nut can be consumed both, with or without soaking but you must be aware of how to eat almonds to get the best benefits. However, the almonds consumed without soaking can aggravate the amount of pitta in the blood. Therefore, it is always recommended to consume almonds after soaking. The best way to consume almonds is by soaking them overnight and then consuming them in the morning. You can also peel off the skin of the almonds and mixing it with dates or raisins to reduce the pitta quantity. How Many Almonds To Eat On Daily Basis? There are no set rules or specifications about how many almonds to eat per day. It entirely depends on your needs and the extent of body problems. However, with the various advantages of eating almonds, it is quite beneficial to eat almonds twice a day. Many health experts suggest that it is beneficial to have about 1 handful or ¼ cup or 1 ounce of almonds every day. The nutritional value of almonds is quite high and thus brings in the maximum benefit to the person. The best thing about the almonds nutritional facts is that it only has good nutrition and fat for the body, without any major or complicated side effects. You can decide on how many almonds to eat per day based on your body’s need for these nutritional contents. You can also ask your health consultant to give you a brief on the almond nutrition and then to give suggestions about the quantity to be consumed. The different types of almonds in India are best known to deliver the health benefits which are unmatched by many of the other ingredients. If by any chance you still have doubt about is almond good for health, then the following health benefits will clear all your doubts. Almonds are the first and the best choice when it comes to lowering cholesterol levels. The nutritional value of the nut is extremely high which works in the favour to lower down the cholesterol level in the body. The almonds are rich in the number of unsaturated fats which targets to improve healthy HDL cholesterol level. It also helps in reducing the unhealthy LDL cholesterol. Secondly, to balance the cholesterol levels, these nuts minimize the chances of LDL cholesterol to oxidize. The less they oxidize, the less damage they bring to the body. Thus, almonds work very hard to balance cholesterol levels. You can soak the almonds overnight and can take 4-5 nuts the next morning for getting the best results. You will amaze to know that almonds are best to control the risk of heart diseases and heart attacks. This is basically for the fact that fat in almond is very less and minimal and thus reduces the chances of any heart problems. Almonds work for increasing the oxidants in the blood and thus reduce the main reasons that cause heart problems. On the other hand, the best almonds also reduce the blood pressure and also improves the blood circulation in the body. All these things collectively work for the balanced causes of heart problems. Almonds can be consumed directly or in combination with any other ingredient. You can consume the ingredient every alternate day for better results. If you want to be safe against one of the major disease called cancer, you must make almonds, along with the other nuts like walnut, as your best friend. The uses of almond nuts majorly work in the direction to minimize all the major indications that might cause cancer. You can totally rely on almonds during your prevention and as well as the fight against cancer. Yes, even if you already are dealing with cancer, almonds can be quite beneficial. Many health experts have suggested that regularly eating 10-12 almonds daily reduces the chances of cancer-causing elements to reduce by 2-3%. Almonds are called brain food. This is one of the best food items that can be used to improve brain health. The major advantages of badam are to stabilize the blood flow and circulation to the brain and thus enhancing its functioning. Almonds are good sources of vitamin E and B2, which are known to preserve memory and to enhance the alertness in the mind. They also convert the food into the energy levels, required by the body. The vitamins in almonds are the key element that binds the memory of the brain in the best manner. Soak 4-5 nuts of almonds in cold water for overnight and consume it in the next morning. Some also suggest peeling the almonds before consuming. Almonds are quite necessary to improve bone health. As almonds are extremely rich in its nutritional value, therefore, it can be consumed for the benefit of improving bone health. The availability of protein in almonds along with the presence of the desired amount of calcium helps in preserving bone health. The adequate amount of calcium and protein present in almonds are the building blocks that help in strengthening the bones. However, you must know the right method of how to eat almonds for getting the maximum health benefits. The best way to consume almonds for enhancing bone health is by mixing it with some other natural ingredients. You can mix almonds with milk and honey for improving the results for bone health. As we all know, pregnancy requires a lot of nutrition for the proper and effective functioning of the body. All the elder people advise taking meals and ingredients that are rich in their nutritional values. Almonds are one of the items that contain almost all the required and healthy ingredients. Also, out of the many uses of almonds, the major one is that it helps in improving the baby’s health as well. This means that almonds not only benefit the mother but also to the baby with its high nutritional content. You can mix almond oil with hot milk and consume it every day. You can also eat 2-3 nuts of almonds for improving the growth of the baby. According to recent studies and researches, it has been found that eating almonds are good for weight loss. Yes, almond fruit benefits to shed those extra kilos from your body. You don’t need to do anything special other than consuming almonds on a regular basis. It has been observed that eating almonds in the morning helps the body to feel full for a longer time. Also, the minerals in almonds take care of the needed minerals and vitamins for the effective functioning of the body. With your stomach full of the desired minerals and vitamins, you will not feel the need to eat any fatty ingredients. As almonds keep the body full for a longer time, it is suggested to eat it in its natural form. You can have about 5-6 nuts in the morning and the same amount in the evening for nourishing your body with the needed nutrients. There is no doubt in the knowledge that if your body’s immune system is working fine, your body will reciprocate in the desired manner. Therefore, most of the health experts prefer suggesting the food items that can boost up the immune system of the body. The minerals and other beneficial substances that are found in the almonds help in preparing the body’s immunity system to fight against the possible infections. They prepare the body to strongly fight against the various health problems. The consumption of almonds provides all the required strengths that benefit the body’s immunity system. Therefore, you should make it a habit of consuming almonds every morning, most probably on empty stomach. Another benefit that can be availed from the almond properties is its benefit to control the problem of constipation. Nuts which are rich in fiber are the best when you want to get rid of the problem of constipation. Just like many other nuts, almonds are rich in its fiber content and thus help in delivering the needed and desired results against the problem of constipation. Almonds are also known to increase the good bacteria in the body which further helps in improved digestion and thus prevent the problem of constipation in the best possible manner. Thus, make it your routine to intake 4-5 nuts of almonds every single day. Diabetes is a common problem that most of us deal with. The tiring treatments related to diabetes further doubles the problem. Wouldn’t it be good if you could find a solution that is easy to use and yet delivers the needed benefit against the problem of diabetes? It would be, isn’t it? If you too are looking for the answer to is almond good for heart patients who are also struggling with the problem of diabetes, then yes, almonds are the right choice for this. Almonds reduce the blood sugar along with improving the blood circulation. This combination results in prevention against diabetes. Almonds can either be consumed alone or can be accompanied with ingredients such as neem and Tulsi for fighting against diabetes. You can also take supplements of almond oil for your problem of diabetes. Most of the nuts are high on their amount of calories and carbs, which is why they help in increasing the production of energy. The calories in almonds works, in the same manner, to produce the desired amount of energy for the body. The richness of calories, proteins, and carbs in almond, they tend to reduce the tiredness in the body along with enhancing the activeness in the body. Further, the minerals available in almonds reduce the chances of the body to feel tired easily. Vitamin B and E along with the right amount of iron keeps the body charged up all the time. So the next time, you feel hungry and tired, grab around 5-6 nuts of almonds and see the difference. Almonds also help in providing the body with the needed minerals and vitamins that the body becomes active to fight against the problem of inflammation. Almonds are quite beneficial to reduce the symptoms and signs of inflammation. The presence of magnesium in almonds reduces the risk of the problem of inflammation by increasing the count of the good bacteria in the body. The enhanced activeness of the body against the leading problems also helps in stabilizing the effects of skin inflammation. Almond oil also helps in reducing the redness and the pain in the affected area. You can take almond nuts every alternate day along with a regular application of almond oil on the affected area. You can also make use of various skin creams which are rich in almond quantity for application on the skin. Antioxidants are quite necessary for our body if you want to fight against the leading and major problems. They not only help in reducing the associated risks of the problem but it also helps in eliminating the problem from the root. Thus, it is advisable to take a good amount of antioxidants for the better functioning of the body. Almonds are known to be the rich source of vitamin E – a popular antioxidant. It is the best natural source of the antioxidant and thus can easily deliver the needed amount of antioxidants, according to the need of the body. Forgetting the right amount of antioxidants from almonds, it is necessary to take almonds alone. The mixing almond with anything else will reduce the antioxidant power of the ingredient. Thus, make sure to take almond nuts alone to get the required amount of antioxidants. Since the fiber in almonds helps in stabilizing the functioning of the stomach, almonds are considered quite well in improving the problem of digestion. As gut bacteria is the main essential need to better digest the food, it is beneficial if the body has a high amount of gut bacteria. Almonds work in the right direction of improving and enhancing the number of gut bacteria in the body and thus benefit its digestion process. Also, as most of the time, your stomach will feel filled with the high nutrients of almonds, you will avoid eating too much to be digested. Almonds help the body to overcome the problem of constipation along with keeping it full for a longer time. This provides the body with the required amount of digestion time. The regular use of 3-4 almond nuts can bring the best results. Amongst the various benefits of eating almonds, the increase in memory power is the most talked about. You must have heard your elders saying to eat 5-6 almond nuts in the morning and evening, to better the memorizing strength and power of the brain. This, indeed, is true. Almonds help in enhancing memory power by preserving brain health by making use of vitamins like vitamins E and B2. These vitamins help in the better functioning of the brain by strengthening brain health. The best way of doing so is by soaking about 5-6 almond nuts in the night and then to consume the same in the morning. The regular use of these almonds will surely enhance memory power. Dark circles are a very common problem for today’s generation. The hectic and busy working schedules of the people are the main reasons that cause dark circles and puffy eyes. You can mix a number of other natural ingredients with almond oil or cream to enhance the benefits against the dark circle. The various antioxidants available in the almonds work as a wonder for dark circles. Almond oil not only reduces dark circles but also nourishes the nearby area with the help of vitamin K available in that. It can also refresh the eye area along with improving the skin quality. How To Apply Almond Oil? You can directly apply the almond oil under the eye for reducing the puffiness and dark circles. You can also choose to use an under eye cream rich in almond quantity for getting the desired results within no time. Almonds are also an effective solution for problems like acne, blackheads, and whiteheads. The regular use of almond oil or intake of dried almonds delivers the desired results within no time. The best thing to do is to apply almond oil on the affected skin areas and leave overnight. The entire almond oil will get absorbed by the skin and will not leave any greasy signs. Almond reduces the signs and cause of acne, blackheads, and whiteheads along with making the skin smooth and fresh. It will also work as wonders for the rashes caused by the problems. You will also be relieved by the associated pain of acne. The direct use of almond oil on the affected skin will bring in the best results for the problem of acne. Along with this, there is a number of acne creams which have an adequate amount of almond quantity in them. You all must be using a number of cosmetic products for keeping your skin healthy and to reduce the signs of aging. Isn’t it? But have you ever thought about what can be the harmful effects of these chemical cosmetic products on your skin quality? They may give you the temporary results but in the end, they will degrade your skin’s freshness, quality, and charm. On the other hand, if you make the use of almond oil on regular basis, you can not only get the desired results against the premature aging but can also protect your skin from the harmful effects of chemicals. Rather than using the chemical creams for fighting against premature aging, you can make use of almond oil. The regular use of almond oil, alone or mixed with aloe vera oil or coconut oil, can bring the desired results. Even the most well-known brands fail to deliver effective solution against the problem of stretch marks. The harsh chemicals and the harmful ingredients in the products can cause skin infections and problems. But, even in this case, you can avail the benefits of almonds. Almond being a good source of vitamin E helps in reducing the skin problems along with the stretch marks. Use the almond oil as a moisturizer and massage it over the affected area for getting the desired results. You will not only get rid of the stretch marks but will also see a significant increase in skin quality. As soon as you encounter with the problem of stretch marks, you can start using almond oil on that area. Massage the skin area with almond oil every day and night and get rid of stretch marks within no time. You all will agree with the fact that the summers heat waves are quite scorching and thus brings a number of skin problems. Sunburns are one of the many skin problems that we all face during summers. Other than this, the need of body hydration is also a must for summers. Isn’t it? Well, as the extended advantages of almonds, they can be the best solution for keeping the body hydrated along with providing it with the necessary cure against sunburns. Almonds also act as a protective layer for the skin itchiness, redness, and irritation. Thus, it won’t be wrong to say that almonds are the complete package for all the skin problems. Apply almond oil every night after cleansing it thoroughly. The use of almond oil on the skin provides the skin with the needed time to repair the damaged cells. Massage your skin with the oil every night before going to sleep. Would you believe that even the calories in one almond are good for your skin? The calories or the fatty acids present in almonds are quite beneficial for the skin hydration and thus keeps the skin well moisturized. It also helps in healing from the problems of chapped skin and skin irritation. As almond oil also contains vitamin A and it can easily penetrate into the skin, it can be used for thoroughly cleaning the skin. The almond oil, therefore, helps in fighting against the possible causes of skin problems. You can use almond oil directly on the skin and moisturize it with the various nutrients available in the oil. You can also mix almond oil with ingredients like milk and honey for enhancing its benefits for skin moisturization. Massages have taken such significant places in our lives that it is hard to find its replacements. Massaging not only benefits the skins by providing with the necessary ingredients but it also enhances the beauty of the skin. It keeps the skin in the good form and thus is preferred by most of the people. Massaging using almond oil is one of the best uses of badam as it provides the skin with all the needed benefits from the available 75 high nutritional ingredients. You can use the almond oil and creams to massage all over your body for completely nourishing it and keeping it hydrated for long. Take 3-4 drops of almond oil and mix it with aloe vera oil, coconut oil or other essential oils and massage your skin in circular motions. Repeat the process every night and get the charming and glowing skin within no time. Almonds are a rich source of minerals like magnesium and thus they help in promoting hair growth. The badam benefits help in increasing and enhancing the blood circulation on the scalp and thus helps in delivering better and improved hair quality. The deficiency of minerals like magnesium often leads to hair fall and also hinders in the way of hair regrowth. Thus, the use of almond will be extremely beneficial to maintain the quality and strengthening of the hair. The regular use of almond oil will reduce the problem of hair fall completely. You can either mix almond oil with any other oil like essential oils or coconut oil and massage on your scalp. You can apply this mixture on a regular basis for getting instant and smooth results. Almond is also one of the best ingredients to be used against the problem of dandruff. One of the various badam health benefits is its ability to treat the scalp problems in the best possible manner. It also helps in reducing the infectious elements present on the scalp. The anti-inflammatory properties of almond oil work as a wonder for the problem of dandruff. You can use the almond oil to massage your scalp for 2 -3 times in a week to effectively treat dandruff. Consuming some nuts of almonds regularly will also help in preventing the re-occurrence of dandruff along with completely eliminating the problem. The main cause of hair fall is the lack of nutrition for the hair. If your hairs are not getting the desired amount of nutrients, there will be higher chances of hair fall. Minerals like magnesium, protein, and calcium are some of the needed ingredients that provide the hair with the strength to fight against the problem of hair fall. Almond being one of the richest sources of the required minerals and protein is quite beneficial to stop the problem of hair fall. The regular use and massage of almond oil will surely eliminate the chances of hair fall. Thanks to the various nutrients and Vitamins available in almond oil, it can be alone used for reducing the problem of hair fall. Massage your scalp every night for getting the better results. The health benefits of almonds also mention its ability to strengthening and nourishing the hair. The right amount of fatty acids present in almonds along with the needed vitamins and minerals, make almonds as one of the best solutions for hair nourishment. The almond’s consumption provides the hair with the needed ingredients that improve the quality of hair along with providing them with the needed bounce. The almond oil completely gets absorbed by the scalp and hair strands and thus delivers the needed results within no time. Mix almond oil with curd or aloe vera juice and apply on the scalp. Leave the mixture for about 25-30 minutes before washing the hair. Apply this mixture twice a week for amazing results. You can use almond oil alone as well. One of the best uses of badam is for curing the problem of itchy scalp. There can be a number of reasons that cause itchy scalp. The treatment of the itchy scalp using the chemical medicine and harmful ingredients further enhances the problems on the scalp. It may also bring the redness and pain due to the itchiness. Almonds are the best solution that can be provided in this situation. The anti-inflammation properties of almonds help the scalp infection to be perfectly cured. Apply almond oil on the scalp and massage for 20-25 minutes or leave overnight for curing the itchy scalp. Thanks to the almond badam benefits, the quality of the hair increases gradually with the regular use. As almond helps in enhancing the strength of the hair along with providing it with the necessary benefits from the needed ingredients, there can be no better solution for hair thickness. As the hair problems are treated right from the main root, it leaves the hair in better and thicker condition. Almond oil along with coconut oil and aloe vera oil makes the best combination for enriching the thickness of the hair. They also help in improving the growth of the hair by eliminating the possible problems. Massage your scalp with a mixture of these ingredients and get thick hair. The anti-inflammation and anti-oxidant properties of almond help in the reduction of split ends. These properties further help in enhancing the hair growth along with delivering the desired focus on reducing the occurrence of hair split ends. Almond also helps in providing the hair with the needed shine and nourishment. You can take 4-5 almonds in the morning and in the evening for getting the best results. Without a doubt, almond oil is one of the best solutions for split ends and thus you should massage your scalp with almond oil on a regular basis. You must leave the almond oil overnight for maximizing its benefits. You can also consume some 3-4 nuts of almonds every day. The presence of an adequate amount of fatty acids and minerals, almond oil makes the perfect combination for hair smoothing. The available vitamins and minerals along with the right amount of fatty acids make the hair soft and frizz free. It also helps in improving hair quality by targeting the problems with the right solution. Just as almond benefits for skin with its nutrients and minerals, it also benefits the scalp with the best of nutrients. Massage your hair with almond oil and get rid of the problem of frizzy hair. You can apply almond oil on the scalp for twice a week for improving the texture of the hair along with enhancing its quality. Your hair will shine and become soft if you deliver the desired and the adequate amount of vitamins to them. Isn’t it? But consuming the varying ingredients for getting the benefits from them is quite difficult. The almond skin uses comes as the required solution for this. The regular intake of almonds helps in eliminating the hair problems along with targeting the infectious scalp. Vitamin E and fatty acids combine together to provide the softness and silk gesture to the hair. Thus, this eliminates the need to do anything special every time for your hair problems. Just taking some almonds regularly will do the needful. The busy and hectic working schedule often causes the problem of premature aging signs along with the early greying of the hair. Almost all people are suffering from this common problem. But you can handle this problem as well and that too in the easiest way possible. The need is just to maintain the almond skin health by daily consumption. 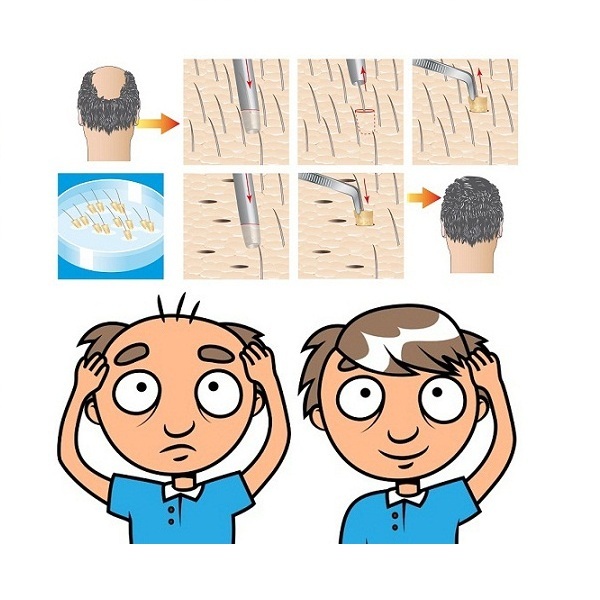 The anti-oxidant properties available in the almonds delay the process of hair greying. It boosts the health of the hair along with making them shiny and smooth. You will notice the difference in your hair quality within a few days after consuming almonds on a regular basis. Almond oil can be used on a regular basis for reducing the problem of hair greying. You can also mix it with essential oils for enhancing the delivered benefits. The regular massage of almond oil will surely reduce the problem. If you are thinking that there are no such side effects of eating too many almonds every day, then you might have to re-think your decision. It is not that obvious that you can avail the maximum of badam benefits by over-dosing yourself with an excess quantity of almonds. Always keep in mind that if you are consuming too many almonds at one particular time, you are flooding your body with lots of nutrients and minerals at one time, which can be quite dangerous. Your body is not used to adjust itself with the excess consumption of almonds and its nutrients. As a result, this will hinder the normal functioning of the body. You must avail the health benefits of almonds by consuming just the adequate amount of almonds after finding which almond is best for your body’s needs and requirements. There are millions of benefits of eating almonds on a regular basis. Almonds are the magical treat that you can give to your body for its effective and proper functioning. If you have the habit of eating almonds or using the various almond products, you don’t need anything else for maintaining the beauty of your skin and health. Do you all agree? Comment below and share how almond and its related products have benefited you. Also, if you have any doubts or questions about the uses of almonds, you can write to us. Our experts will assist you with the relevant information.